In May, I started a collection of short stories which I’m calling Chronicles of the Cursed Crown. These short stories detail events that occurred before the novel. My Facebook writing group Skywriters also started a short story collection with a ring theme. At first I thought I was too busy to join, but one night while exercising, inspiration suddenly came streaming. 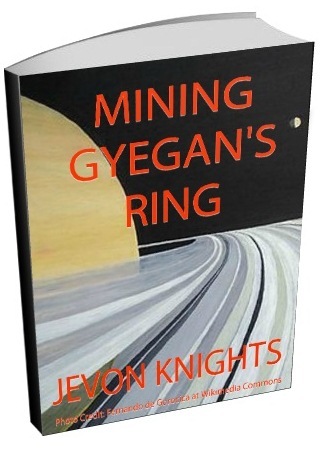 In June, I started the short story Mining Gyegan’s Ring which I’m hoping will be part of that collection. In September, Jesse returned my fully edited novel which I still have to review. I wrote 12 blog post with 8 posted on my site and 4 guest posted on other sites. According to my blog stats, the most popular post seems to be 5 Ultimate Fantasy Weapons They Actually Made, but word of mouth suggests that readers loved 5 Fantasy Creatures You Probably Never Heard Of. Now I can’t quit put my finger on it, but I know there’s a lesson in there somewhere. A writer who does not read is like a bodybuilder who does not hit the gym. Reading is great research, gives you awesome ideas, and reveals what works in your genre. In 2015, I joined the Goodreads group Sci-fi and Fantasy eBook Club, and I found some great novels. Bayaz gathers an unlikely group to journey to the edge of the world to stop a war. This book had great descriptions about the city Adua and introduced interesting characters. Bayaz and his group begin the journey to the edge of the world, while Glokta tries to hold his city. I loved this book. Bayaz and his group, and Glokta, return to Adua to defend the city, and Logen frees Angland. The trilogy concludes with memorable characters and battles. Holden tries to learn the truth about his ship the Canterbury’s destruction and Miller searches for Jamie. While this book had a great system about Earth and Mars and the Outer Planets, James’ method of writing didn’t fit with me so I couldn’t read the other books. The story impressed others so much that it is now a series on SyFy channel. I checked it out and it still didn’t fit. Feel free to form you own opinion. Please don’t call it Game of Thrones in space, because it is not. Kormak the Guardian pursues a Ghul into the desert to kill it. While William King is my favorite author, I wouldn’t call this his best work. Still a good read if you are one of those who consume several books a year, and the first book is free. Kian is endowed with powers and uses it to kill the God King. Another story with a writing style that didn’t fit with me. Lieutenant Weatherby sails across the immense Void of space aboard his wooden, three mast ship the Daedalus in pursuit of a dangerous alchemist, and Lieutenant Jain tries to solve a mystery on Mars. Very original but Jain’s frustrating story keeps this one back from shining. Captain Weatherby sails to Saturn in pursuit of a friend’s son, while Commander Jain explores Saturn’s moon Enceladus. Loved Weatherby’s story, but again Jain’s story is weak in comparison. Admiral Weatherby sails to Venus to stop a war, while Commander Jain… well… who cares. Interesting conclusion to the trilogy. Which book was my favorite? Definitely Before They Are Hanged. From the western land of Calcis, the ancient city-port of the Old Empire, then over the Great Plain, and across the river Aos, the greatest of all rivers within the Circle of the World, the journey of Bayaz and his group of adventures to the edge of the World kept me anticipating what happened next. I’m almost finished with the short story collection Chronicles of the Cursed Crown. When complete, I will hire my editor Jesse to help me revise it. Then it’s on to the big project Guardian of the Cursed Crown. I’m going to put my all into getting it published this year. When everything is ready, first I will release the collection for free, then a month after I will release the novel for a really small price. And there is also my contribution to Skywriters to complete, which I think just needs one more round of editing before it’s published. In the meantime, I will write another 12 blog posts, but this time 8 will be guest posts. I’ll also continue my reading. 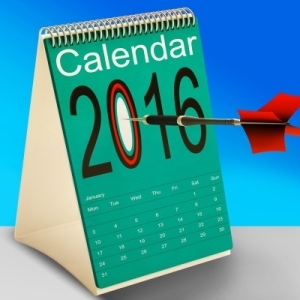 I read 9 books in 2015, this year I’m trying for 10. Still pathetic by a reader’s standards, but remember I’ve got novels to write so I can’t spend all my time reading. I’ve already setup a reading challenge on Goodreads to help. Feel free to join me.